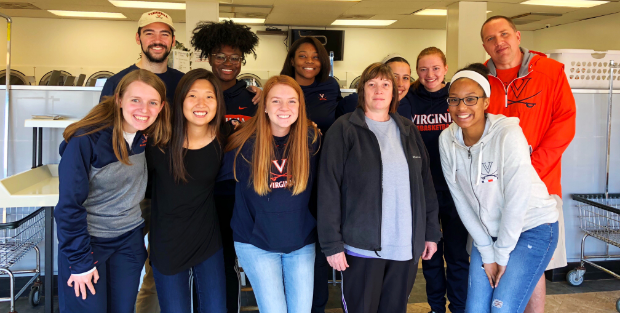 ​The University of Virginia Women’s Basketball managers team devoted a Saturday morning to serving the needs of customers at a lower-income laundromat in Charlottesville. We had the opportunity to meet locals and have great conversations with them while offering to pay for their laundry. It required us to come out of our comfort zones a bit at first to approach someone. By the end of the morning though, several managers had memorable experiences by stepping out.